Girls and boys from Your Guardian Angel Preschool and Childcare were out and about on a sunny Tuesday afternoon. One little girl even wore her sun glasses. Although the sun was shining brightly and the sky was a beautiful shade of blue, winter’s chill was in the air. 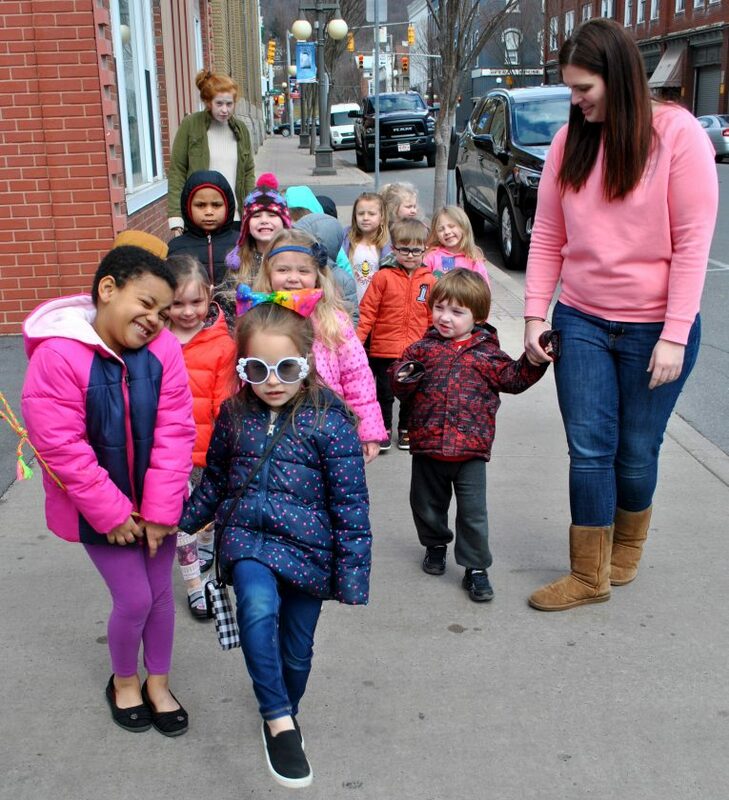 But the kids were dressed warmly and enjoyed a walk through downtown Lock Haven with their teachers, looking in store windows and smiling for passers-by, all the while holding onto a rope that kept them secure. 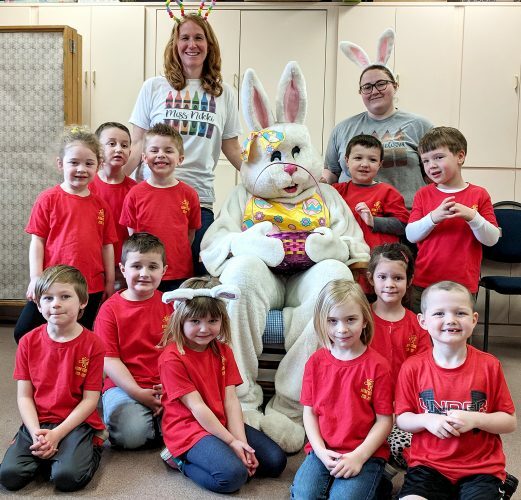 The preschool is located at the corner of East Church Street and Jay Street in Lock Haven.